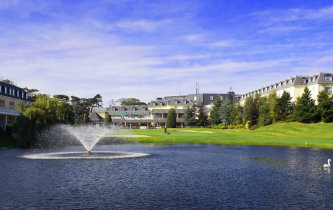 Situated on 240 acres of stunning parkland with the Dublin mountains as its backdrop, Citywest Hotel, Conference and Event Centre is a truly unique property and is located just 25 minutes from both Dublin City and Dublin International Airport. Combining the old world charm of a country house hotel, with state-of-the-art conference and event facilities, Citywest Hotel is truly a world class conference and leisure destination and one of the finest hotels in Dublin. Irelan's largest hotel has a 4,100 seater Convention centre, which was the setting for a variety of International conferences, events and shows in 2014. There are also 764 spacious guest rooms and suites, 34 adaptable meeting rooms, a state-of-the-art health & leisure club and an 18 hole Championship Golf Course. There are a range of different dining experiences available at Citywest Hotel. From Pan Asian cuisine in the on-site Lemongrass restaurant to Mediterranean flair and traditional Irish dishes in the Hibernian Bistro, Citywest’s award winning chefs ensure both originality and a wealth of choice in all menus. 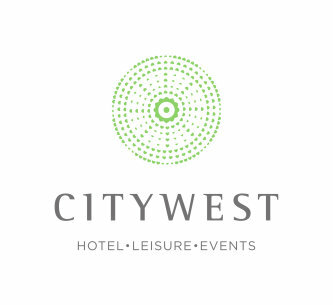 Guests of the Citywest Hotel can avail of complimentary parking, high speed Wi-Fi access throughout all areas of the hotel and access to the health & leisure centre with its fully equipped gymnasium and 20 metre swimming pool. For the golf enthusiasts, located on the grounds of the hotel, the Christy O’Connor Jnr. designed Championship Golf Course is an impeccably maintained par 69 course which provides challenging fairways for both the amateur and avid golfer alike. Citywest Hotel is serviced by the N7 dual carriageway just minutes from the M50 orbital. It has never been so easily accessible; a purposely built Luas stop just a short walk from the Hotel entrance provides guests with reliable and low cost transport directly to and from the city centre.